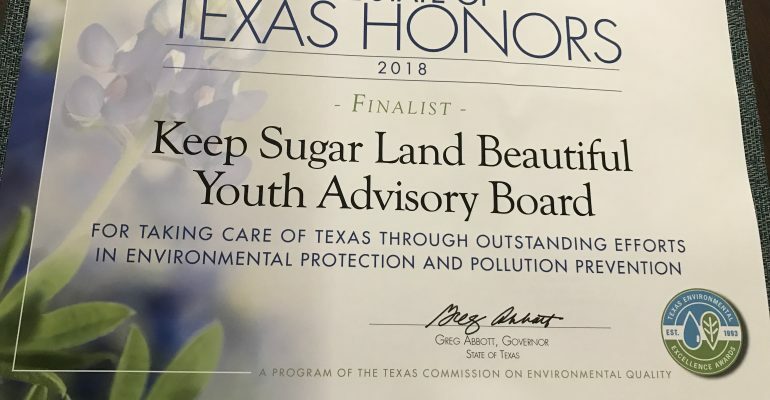 Keep Sugar Land Beautiful received a 2018 Texas Honors Award, as a finalist, for our Youth Advisory Board!!! 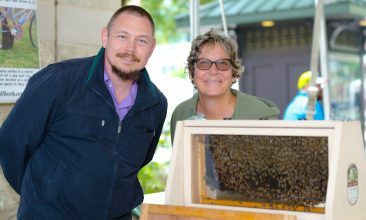 The KSLB Youth Advisory Board is working behind the scenes and may also be found giving presentations, volunteering at our events, recruiting volunteers, planting trees, picking up litter,and so much more! You get the idea…they are invaluable to our organization!! Thank you to all former, current, and future KSLB Youth Advisory Board members.